Your gut and your brain are more connected than you think. Evidence of a link between various cognitive and developmental disorders and bacteria living in the gut is growing. Studies have shown a difference in the microbiomes of children living with autism and children not on the spectrum of autism disorders. 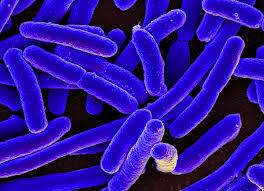 Now, research is emerging that suggests a link between gut bacteria and Parkinson’s disease. According to Haydeh Payami, Ph.D., professor in the Department of Neurology, at the University of Alabama (UAB) School of Medicine, “Our study showed major disruption of the normal microbiome — the organisms in the gut — in individuals with Parkinson’s.” Researchers are unsure which comes first, the microbial disruption or the disease. They will have to continue studying to see if having Parkinson’s causes changes in the bacteria or if abnormalities in the microbiome contribute to the development of the disease. The study consisted of 197 Parkinson’s sufferers and 130 control subjects. The research has been published in Movement Disorders, the journal of the International Parkinson and Movement Disorder Society. The implications of these study results mean are immense. It could now be possible to find ways to better and faster diagnose Parkinson’s disease and maybe one day even find more effective treatment options. The study found that some species of bacteria were found in greater numbers in non-Parkinson’s subjects, while other species were found in significantly fewer numbers. Current Parkinson’s medications could partially be to blame for these disparities.